Bassett, John Spencer, ed. Correspondence of Andrew Jackson: Volume VI, 1839-1845. Washington, DC: Carnegie Institution of Washington, 1933. Goebel, Dorothy Burne. 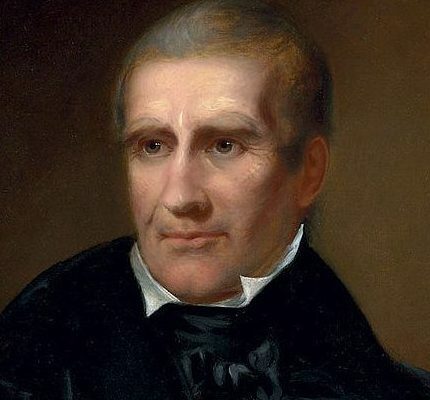 William Henry Harrison: A Political Biography. Philadelphia, PA: Porcupine Press, 1974 . Green, James A. William Henry Harrison: His Life and Times. Richmond, VA: Garrett and Massie, 1941. Harrison, William Henry. “16 June 1834, To George Poindexter.” Reel 2. William Henry Harrison Papers. Manuscript Division, Library of Congress, Washington, DC. Harrison, William Henry. “Inaugural Address,” March 4, 1841. Online by Gerhard Peters and John T. Woolley, The American Presidency Project. http://www.presidency.ucsb.edu/ws/?pid=25813. Jackson, Andrew. “17 Feb 1841, to Amos Kendall.” Reel 53, Andrew Jackson Papers, Manuscript Division, Library of Congress, Washington, DC..
Landry, Jerry. Harrison Podcast. http://whhpodcast.blubrry.com. 2016. Mahon, John K. History of the Second Seminole War, 1835-1842: Revised Edition. Gainesville, FL: University of Florida Press, 1991 . Picone, Louis L. Where the Presidents Were Born: The History and Preservation of the Presidential Birthplaces. Atglen, PA: Schiffer Publishing Ltd, 2012. Remini, Robert V. Andrew Jackson and the Course of American Empire 1767-1821. New York: Harper & Row, 1977. Shafer, Ronald G. The Carnival Campaign: How the Rollicking 1840 Campaign of “Tippecanoe and Tyler Too” Changed Presidential Elections Forever. Chicago: Chicago Review Press, 2016.